Did you know your library has materials available that can assist you in preparing for the Scholastic Aptitude Test (SAT), in writing college admissions resumes, and in investigating potential careers? You can also access nineteen databases, including Academic One File, Grolier Online, Gannett Newstand and OmniFile Full Text Select. Through the Southern Tier Library System, you can also access a huge collection of books, ebooks, audiobooks, music and streaming video. In addition, the library provides a comfortable space to study, read, or collaborate on projects with your friends. 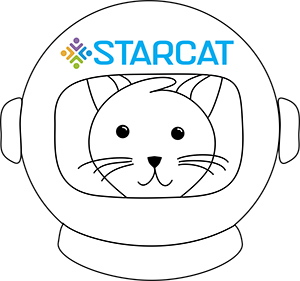 In the coming weeks, we’ll provide links to a variety of resources under the Student Center menu option on our website.You can check out our digital collection of resources at starcat.stls.org. We are also adding books to our collection weekly, so be sure to visit the library and check for new titles under the Available Resources menu option on our website too. Looking to improve your search skills on the web? Check out our latest post, Advanced Google Search Tips available here.